After Xiaomi, ASUS become the most popular budget segment smartphone available in the market. Asus Zenfone Max Pro M2 is the successor of Max Pro M1 with huge battery backup. I have earlier posted how to root Asus Zenfone Max Pro M1 by step by step method. 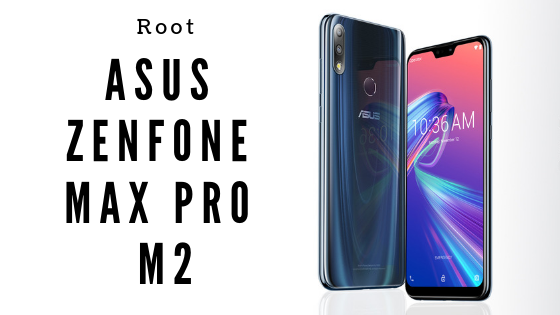 In this article, I am going to discuss how to Root ASUS Zenfone Max Pro M2 from unlocking the bootloader to installing TWRP custom recovery. So if you have Asus Zenfone max pro m2 then you can root your phone through this guide. As like other rooting guides, I would highly recommend you to do backup your phone properly. Windows will automatically install the Asus driver from that folder. If driver properly installed it will show your device with some alphanumeric character. Otherwise, you need to install ADB drivers properly again and reboot PC. It will automatically unlock the bootloader. You will get a warning of an unlocked bootloader. Don’t press any button here. It will automatically reboot into TWRP. Install Root Checker then check whether Asus Zenfone Max Pro M2 rooted or not.